This elegant gift is absolutely stunning! It includes artisan pasta, bread sticks, sauces and oil for dinner along with a host of delicious treats for dessert! How beautiful! 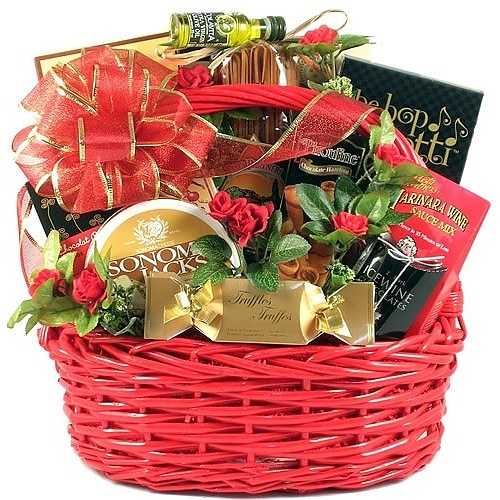 This dinner gift basket presents itself very well and would be perfectly suited for sending as a wedding gift basket, a Sweetest Day basket or even a Valentines Day gift basket. With this basket, all you need now is two people in the mood for food and a few cooking skills.